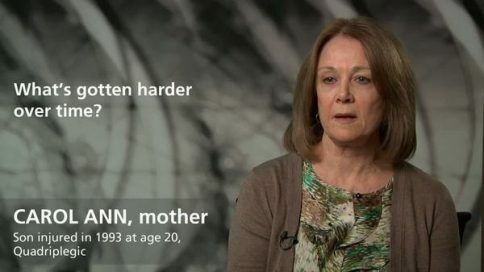 Carol Ann – What’s gotten easier over time? Carol Ann – How did family members respond to the news? Carol Ann – What personal support was most helpful to you? Carol Ann – How did you deal with stress at first? Carol Ann – What’s the best way to work with a caregiver? 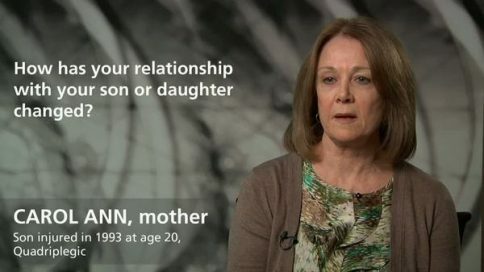 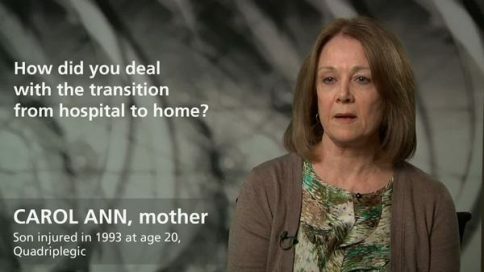 Carol Ann – How has your relationship with your son or daughter changed? Carol Ann – How do you handle anger? Carol Ann – Do you ever feel guilty? Carol Ann – What kind of work do you do?